Both August and also the next month are gonna be a great time for smartphone fans and a couple of smartphones, some flagships with some pretty heavy name and hype are gonna be launched soon. And yes, we already have some hints regarding some upcoming phones including the iPhone 7 and Galaxy Note 7, some other mid-range phones are also gonna be introduced soon. So, let’s look at the best smartphones that are gonna be launched in August and September. Among all the upcoming phones, iPhone 7 may be at the top. 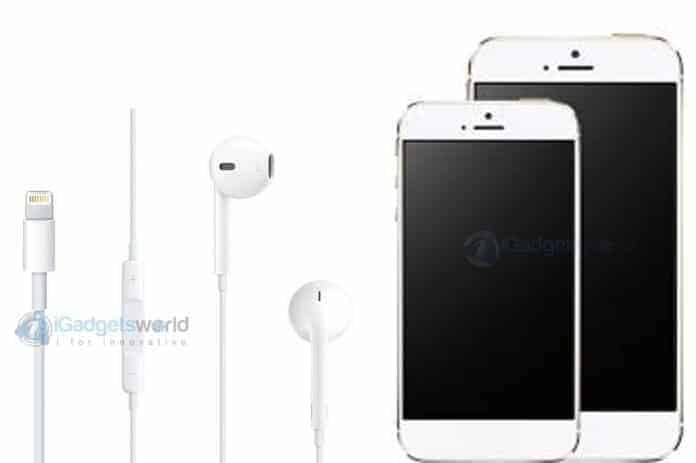 Well, the iPhone 7 is gonna be launched in September but we have seen many leaks and rumors, renders and what not! Not just the Apple community, the whole smartphone community is going Gaga regarding this new iPhone 7 and why they won’t? So many rumors, opinions, possible specs guesses- the removal of 3.5mm headphone jack and the traditional SIM card tray, addition of dual camera module, three possible variants and lot more. But iPhone 7 will be launched not in this month, but September 7th as the ‘always reliable’ Evan Blass and we’re expecting Tim Cook to brag about how innovative they are, how iPhone 7 is the best iPhone they have ever made and blah blah blah! This time, three variants are being expected though Apple never launched three variants of any iPhone yet- iPhone 7, iPhone 7 Plus and iPhone 7 Pro. But, these are some pieces of rumors and news that we’re listening to, however, it’s definitely sure that iPhone 7 is gonna create a huge buzz once it gets launched with some many changes and improvements. While Apple fans are eagerly waiting, Samsung has got one upcoming phone or rather I would say phablet- The Galaxy Note 7. This upcoming phone has caused a great amount of confusion among enthusiasts with its name as Samsung decided to skip the Note 6 and jump to Galaxy Note 7 directly. Recommended: Galaxy Note 7 Vs. iPhone 7 – Which is better? 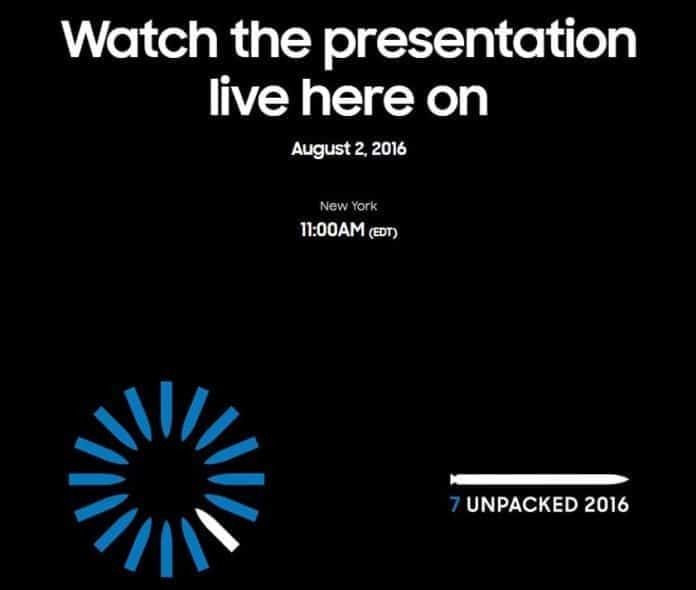 The Unpacked Event website also shows the number 7 and the event will be held on tomorrow Augusts 2nd. Right at the event, the specifications and prices will be revealed. However, again people have tipped specifications according to which the Note 7 will sport a 5.7-inch Super AMOLED 2K dual curved screen display. In the camera department, the Note 7 will boast of a 16MP primary camera, which may be a dual-lens setup and 5MP front camera with LED flash. Xiaomi has been launching smartphones, one after another and they have been pretty aggressive recently. TEarlier this year they launched Redmi Note 3, Redmi 3s, Mi 5, and Mi Max. Recently, an upgraded premium variant of Redmi, the Redmi Pro has been launched.But hold on! Mi Note 2 is coming. Some recent leaks suggest that the Mi Note 2, will launch in August. According to rumors, the Redmi Note 2 will come with curved AMOLED display. It will be powered by a Qualcomm Snapdragon 821 processor, coupled with 6GB of RAM- Another tough competitor to Note 7 I guess, though Mi will cut down some features for sure to keep the price under ‘so called flagship like price’. Two new upcoming phones from the Nexus lineup by Google are one of the most talked topics among Nexus and Android fans. We know HTC has been working on the new Google Nexus phones, codenamed as Marlin and Sailfish. Earlier, it was reported by various sources that these devices may be launched in September but probably Google and HTC have decided to make the launch earlier to compete with Samsung and Apple. The new Nexus phones are expected to get launched by hardly this month end. Reliable tipster Evan Blass recently shared a snapshot of the build.prop file of the HTC-made “Sailfish” smartphone. The file has the device’s specs along software and hardware information. The screenshot suggested that the HTC “Sailfish” will not house a Snapdragon 821 processor, but will be powered by a Qualcomm Snapdragon 820 instead. The leak also suggests that the HTC Sailfish will sport a 5.2 inch full HD display. In the case of the HTC Marlin, the device will sport a slightly bigger 5.5-inch display and will be powered by a Qualcomm Snapdragon 820 chipset, according to Techdroider the device will sport 12-megapixel and 8-megapixel camera combo on the rear and front. So, these are the Top upcoming phones that we will see soon. Which one will you pick? Android or iOS? Nexus or iPhone? Let us know in the comments section below.